How Far Will You Go in 2017? Here is my gift to you! Because I want us all to succeed! We are all in this together and I want to plan the best year for 2017! Join me on facebook by following my page @JessicaDumas01 at 12 Noon on January 6th and January 13th, to EXPLORE and make the best INTENTIONS for 2017. Change is a process and to be successful, you need to take some time and be intentional with it. Let’s do it together. Set your alarm and show up! See you then! Happy Holidays to everyone! I am in the process of launching my online coaching program, “My Prime Image”. I titled my company this name because we all have that inner being where all of our passion and secrets are hidden. My program aims to help bring that prime image, more strength and voice, to give you a happier and more fulfilling life. My Prime Image Life Coaching program will help you master your mindset and have make 2017 & the rest of your life, the best of your life. I will continue to offer individual and group communication & skill building type workshops, as well as professional speaking engagements & event emceeing but what i’m most excited about is focusing on Indigenous Reconciliation Strategies for Business, and sharing my very own reconciliation story (I can’t wait to see what it looks like). In January 2005, my youngest brother, Matthew, was killed by the police. It was a public and tragic event for my whole family. We all find ways to cope and manage loss, I was able to find healing through relationship building and asking questions. Questions that ultimately led to me having the best relationship of my life, with a police officer. I am very excited about my next journey as I share my story on how I was able to experience reconciliation for such a precious experience, as I help others take a lead on their own reconciliation strategies. I’m ready to talk when you are. Please connect. We’re never stuck. 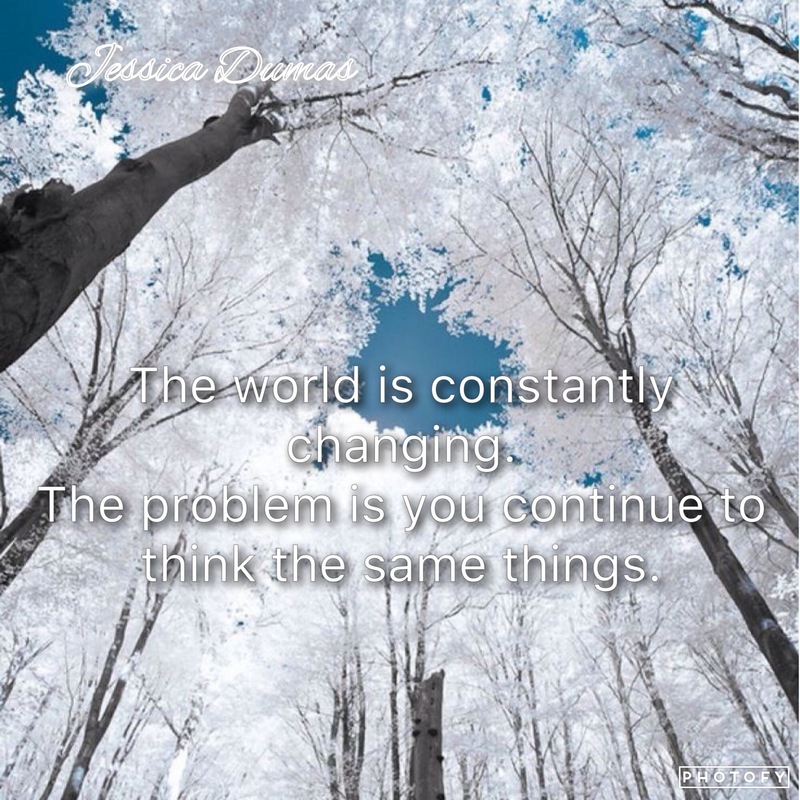 Everything is always moving the world is constantly changing. Don’t wake up tomorrow and be thinking the same things that didn’t make you feel good today. Think about what you would prefer to think about. Do you think it is a waste of time to think about a better feeling thought, something that makes you feel good? Is it not a waste of time and energy making yourself miserable with your thinking? You’re almost there! Happy New Year! You made it through the holidays! Hopefully ’embraced’ is more of a word you would use to describe it? The new year is when you see the gyms full, the fridges clean and the ‘to do’ list piled up. Not that there is anything wrong with that! I like to take some pressure off and note that you don’t need a ‘new year’ to make a resolution. I resolve to always make improvements in my life to make life more enjoyable! To me, that’s what it’s about. 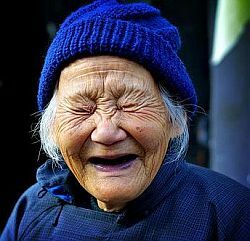 Life should be fun, seriously!!! I want to encourage you to believe you can have what you truly want. The world is constantly moving so don’t think it is ever to late for your turn. Your time is now! Choose to make it happen! Let go of the old and in with the new! It is up to you! I had a great day today, hope you did too, but let me tell you that my day didn’t start out so great. I had to work at it. I accomplished that by working on my thinking patterns. Often in coaching, that’s my goal of what I want to get down to talking about is peoples thinking patterns. However it is just not that easy to get people to respond to “Tell me everything you are thinking about, word for word, right now!”, haha, so I work on the relationship, which to me is most important. That’s my mind ninja-customer service trick, getting down to thinking patterns, where it all begins. I have some things going on in life, as all of us do, with kids and work and all that jazz, and I woke up feeling not-so-great. But my bigger mind-ninja trick is more basic really. I PLAN to have positive thinking patterns. It’s work! And it’s a process. You’ll often hear me say that just like we want our emergency responders practicing and preparing and training before the actual crisis, we have to practice and prepare for our stress crisis. It is in the down-time that we have to decide what does positive thinking mean to us? Where do we want to go with our thoughts? And where would we rather be, thought-wise? We should care about these things! Emergency responders don’t get to a crisis and say “What do we do? I don’t like the way this is going” and desperately seek for resolve, no, they prepare over and over and over and over on how to respond to numerous life or death situations until it becomes a natural reaction. (Maybe there is a way you relate to this? Please let me know. As a mother I know that when I hear crying or see blood, I click into E.R. mode.) Emergency responders are prepared for crisis when it hits because they have practiced scenario after scenario, role play and thought exercises, so that when crisis hits, their mind goes into a focused auto pilot of knowing exactly what to do. (THANK YOU TO ALL EMERGENCY RESPONDERS!!!) They can now respond to the crisis with tools they have practiced and they know what to do! Genius. They respond with sureness and not question that they are going to do their best effort in resolving this crisis. This is what we need to do with our thinking. Often I am replaying thoughts in my mind of, and making notes in a journal of ‘what I would prefer to happen’ and what the ‘best solution’ would be. I am making lists and focusing on solutions and meditating on goodness, wellness and positive aspects. So this morning when I woke up in a not-so-great mood, my mind would not let me go past a certain point because I have practiced more upward thoughts than not! I am so blessed and thankful for these experiences. My mind went right to reasons I need to appreciate, reasons why I am blessed and all the things I love and appreciate about my life and what I have to look forward to. We all have those things to be thankful for, even when we think we have not. Every morning we each wake up with a clean slate. Sleep cleanses our thoughts like turning on the dishwasher at night. It is us that makes the mistake of letting our minds wander and remember ‘oh ya, I’m miserable because of…” and there we go again. But if you can start practicing your emergency thought crisis planning now, deciding what that would look like and feel like, you can start to get out of that mindset quicker when the crisis happens. It definitely takes practice. Change is a process!!! Create positive statements and affirmations to recite at random times throughout the day, especially before bed and when you wake up. Those are precious times. Your mind is between a state of sleep-unconsciousness and consciousness, which is a sneaky way to reach your beliefs. Your beliefs after all, are just what you continue to think about all the time. E-Coaching via email or text! Consider E-Coaching Via Email or Text! The world is always moving, have fun with it! Flow! Let me know if this has ever happened to you… The other day, as I pulled into a parking spot, I put my jeep in park and reached over to the other seat where I had my belongings, to grab something. As I fiddled around and sat back into my seat, my eyes still focused on what I was doing, my peripheral vision recognized motion on the outside of the vehicle and I panicked for a moment, jamming my foot on the break. I panicked that I was wrong that I put the jeep into park and that I was going to hit something. Quickly, with my foot on the break, I looked out the window to focus on something that was concretely still, reassuring my brain that I was not in motion. I confirmed that I did have my jeep in park and it was the vehicle next to me that was in motion. I was still. This event reminded me of how important it is to be able to trust what is still in your life. Facts are that life events will go up and down. Relationships or jobs or things you think you should have trust in will feel pretty shaky, sometimes ongoing. Ensure your spirit is growing so you can hold on to that stillness. Learn to listen to your spirt. Ask me, ask someone. And find things to laugh about! Always! #LifeShouldBeFun!! The Purse Sale Is Here! Thursday at 90 Sinclair! Please come out and help me raise money to keep me off the Island!!! 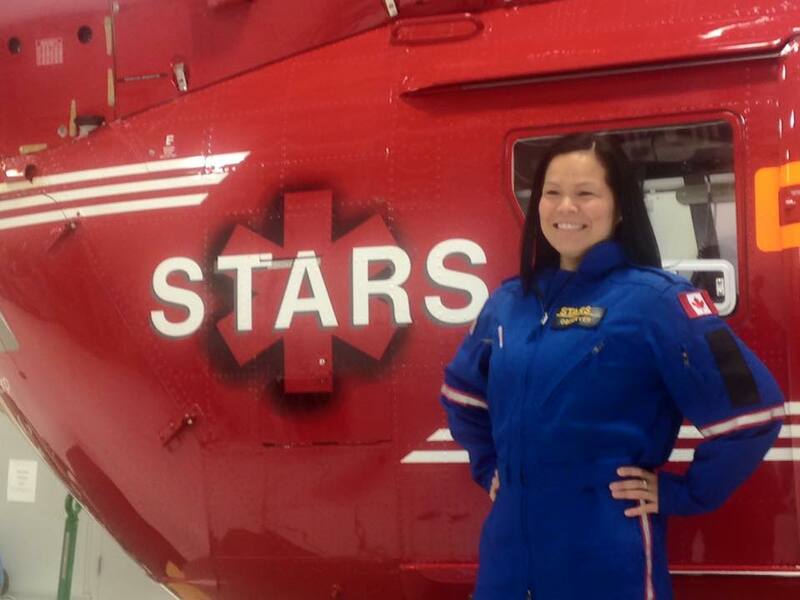 Shock Trauma Air Rescue Society responds to critical injuries and medical emergencies for most of rural Manitoba and they operate as a hospital fundraiser that needs our support so that they can continue to do the work that they do but improve on technology and training to continue to save lives! 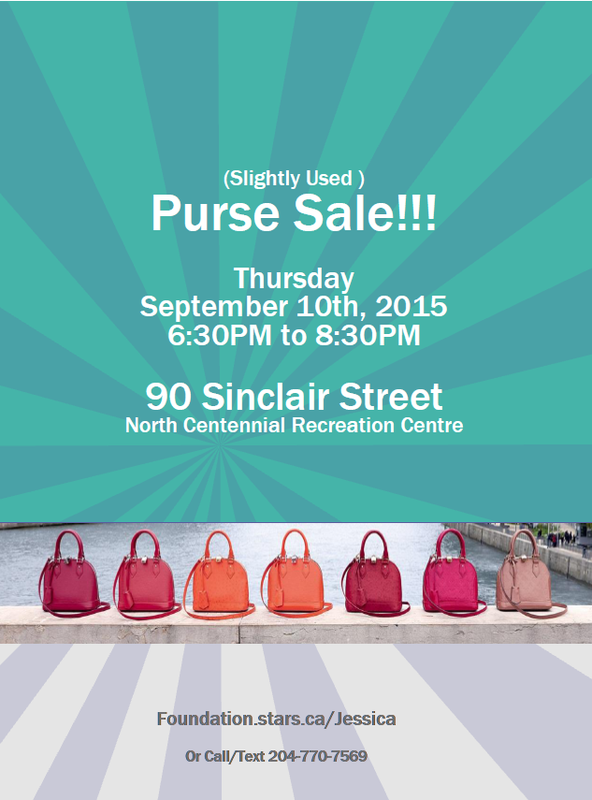 I’m hosting a purse night on September 10th, 2015 at 90 Sinclair from 6:30 to 9PM. The purses that are being sold are being donated to the cause by dropping them off at a specified location. Purses should be new or slightly used, not falling apart. They do not have to be brand name. Thank you so much in advance to you for your support and to STARS for all the work that they do here in Manitoba!! Again, I can be reached at 204-770-7569 and through my website! Thanks so much! Enjoy the last days of summer!!! This guy!!! Wow. We had an excellent time at #LABRC2919 #Repost @planners_plus with @get_repost ・・・ This special lady @jessicadumas01 did an amazing job facilitating the #labrc2019 conference at @rbcconvctrewpg @winnipeg #winnipeg. We couldn’t have done it with you!